Brand and category managers have a hard time when it comes to the presentation of their products in retail stores. Since the retail channel is so scattered, properly supervising each location individually would be virtually impossible so issues such as damaged shipments, poor shelf placement, and frequent out of stocks can sometimes go unnoticed. Every business has their own needs, and every product category has its own individual characteristics. Therefore, while dairy products might need frequent retail to check for expired items, cleaning products will need to be checked for spills – and so forth. Retail audit software that allows fully customizable forms will adapt to those individual category audit needs. One of the factors that make mobile retail audits so revolutionary is that they allow office-based brand and category managers to actually see what is going on in each store – even if they are scattered all over the world. Product selection normally changes by retail chain, but can also vary by store. Retail audit software that allows for those variations in distribution and must-stock lists will make it easier and faster for reps to perform the audits, since tasks will be tailored to each store’s product selection. 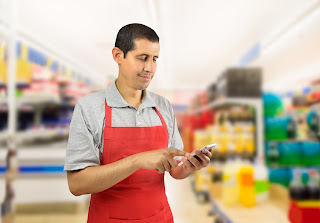 Once a rep completes a retail audit on their mobile device, data is synchronized. Therefore, instead of waiting days for a report, managers have instant access to the collected information – leading to faster resolution of mission-critical issues such as out-of-stocks and damaged merchandise. Retail audit software must be flexible when it comes to data exchange: While an audit summary report in PDF might be necessary with the fulfillment department to justify an extra shipment, a brand manager will probably need hard data in Excel format in order to generate charts for a board presentation. VisitBasis retail audit software offers all the above and more: Schedule an online demo right away!